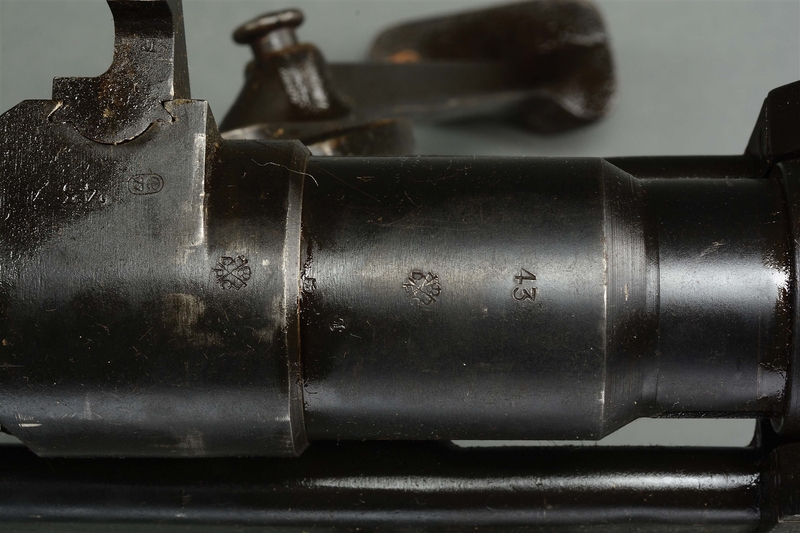 Lot Detail - (N) RARE INGLIS MANUFACTURED BOYS .55 CALIBER ANTI TANK RIFLE WITH UNITED STATES PROPERTY MARKINGS (DESTRUCTIVE DEVICE). The live portion of this session begins on Wednesday, April 24, 2019. 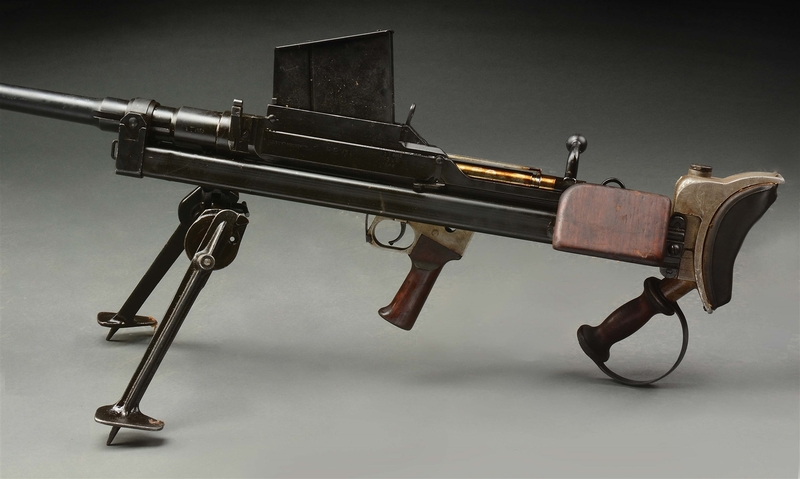 (N) RARE INGLIS MANUFACTURED BOYS .55 CALIBER ANTI TANK RIFLE WITH UNITED STATES PROPERTY MARKINGS (DESTRUCTIVE DEVICE). 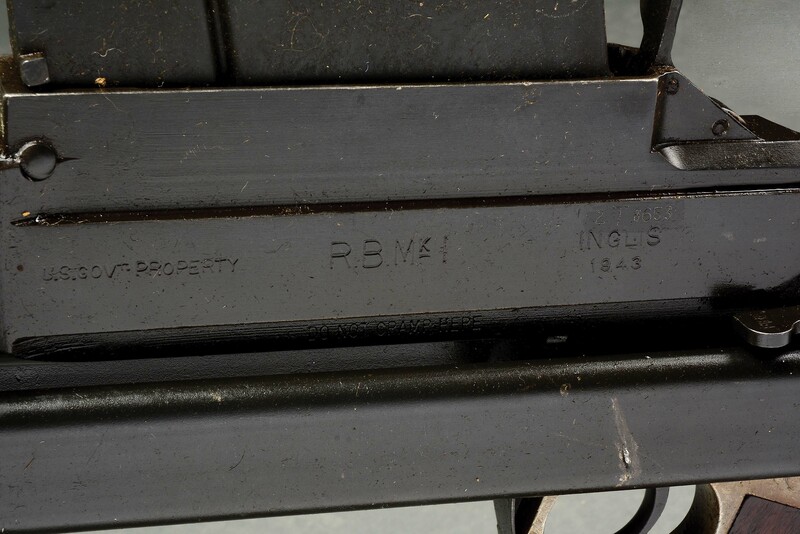 “INGLIS” “1943” manufactured Boys anti-tank rifle with "U.S. Property" marking as well as with “R.B. 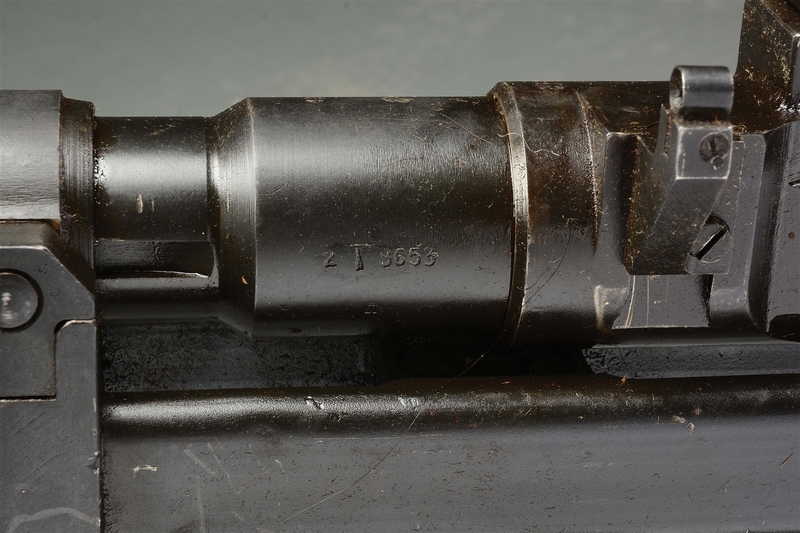 MK I” for "Rifle Boys” on left side of receiver. 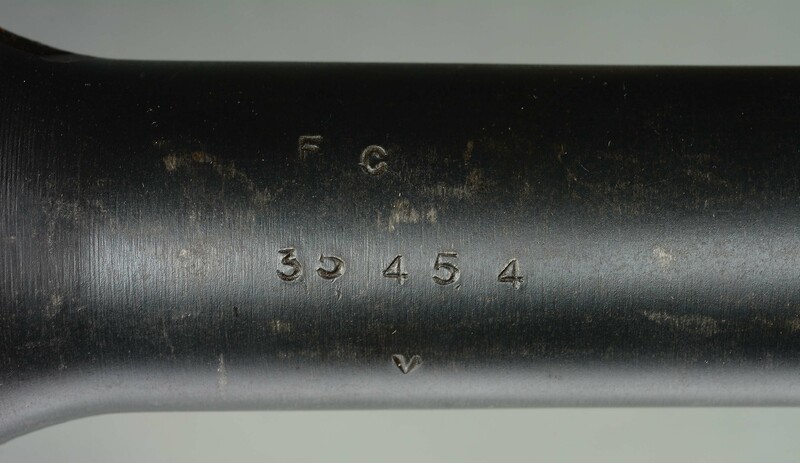 Visible numbers matching on barrel, bolt, and receiver. Original later production muzzle and bipod present. Includes one original five round magazine. 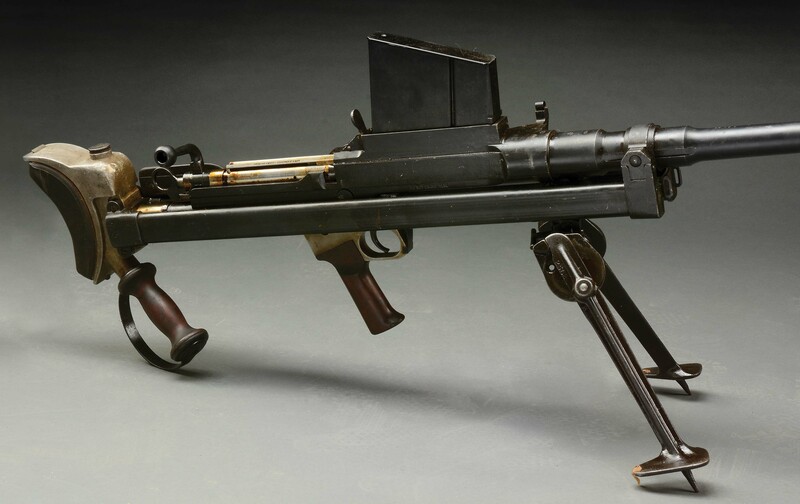 The Boys Anti-tank rifles were issued to British, Canadian and U.S. forces in the early years of World War II. They were effective against lightly armored vehicles. 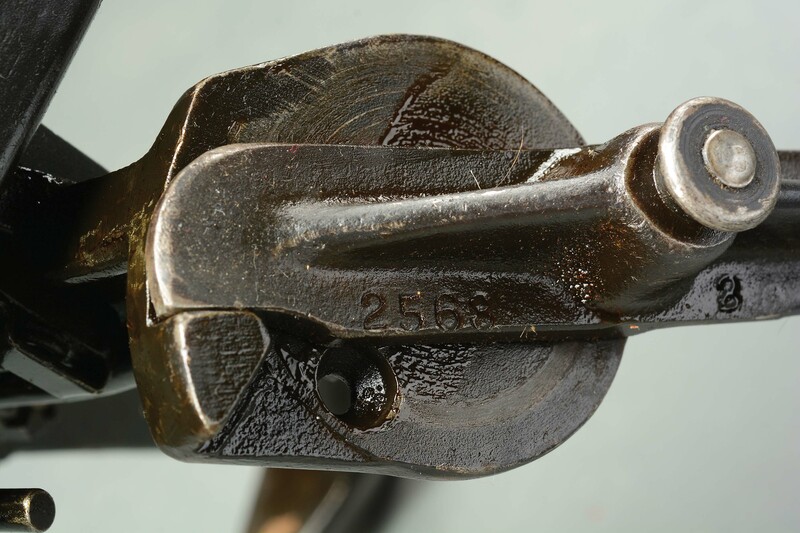 CONDITION: Overall appearance and finish is extremely fine to near excellent original smooth dull blue finish with preservative grease over some brown patina, with bolt near excellent in the white with brown preservative grease. Bore and bolt in condition for this to potentially be an unfired specimen. Wood cheek rest near excellent with a couple light handling marks. Both handgrips appear extremely fine with only a couple dings. The aluminum hardware of the pistol grip and buttplate assembly are as they are supposed to appear. Rubber recoil pad remains supple and serviceable. THIS IS A NATIONAL FIREARMS ACT ITEM AND REQUIRES BATF APPROVAL PRIOR TO TRANSFER. 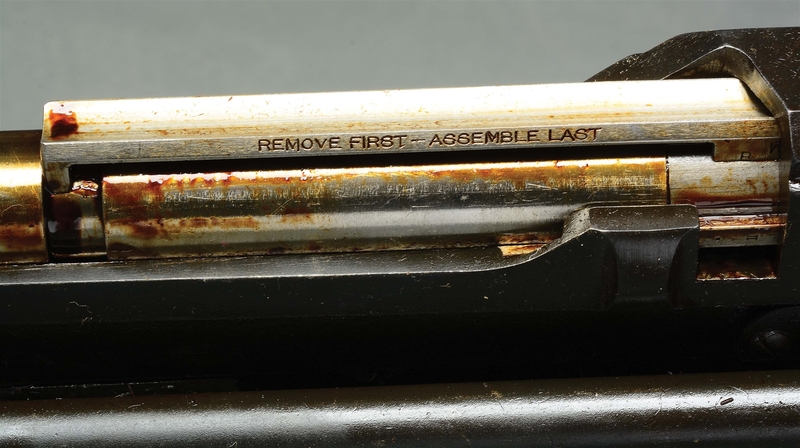 THIS ITEM IS FULLY TRANSFERABLE ON AN ATF FORM 3 OR 4 AS A “DESTRUCTIVE DEVICE”.